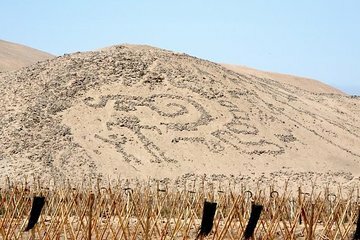 Explore more than 5,000 years of history in the Chilean city of Arica during this 4-hour private group excursion. Discover the Pre-Columbian peoples that lived in the region as you visit an archaeological site and museum, learn about the Chinchorro Culture Mummies and have time to buy souvenirs and olive oil. Recommended: 30 minutes after ship's arrival. Receive a morning pickup from the Arica port or from local hotels. You’ll make your first stop of the day at the “Morro de Arica,” offering 360-degree views of the surrounding area. Continue to the Cerro Sombrero archaeological site, where you can explore its collection of geoglyphs, and then continue to the Archaeological Museum San Miguel de Azapa, allowing you time to delve more deeply into the region’s Chincherro culture. You’ll finish your exploration by visiting Parcela de Pedro Gallo, offering time to purchase some tasty olive oil or local souvenirs. At the end of the excursion you’ll be transferred back to your hotel or to the port.